Dan Giannetto, regional vice president of Weichert, Realtors, announced that Carlo Vitulano of the Medford office was recognized for his industry success in October. 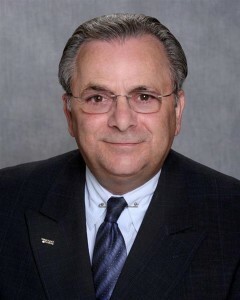 As a top producer, Vitulano led his Weichert sales region, which is comprised of offices throughout Burlington, Camden, Atlantic and Gloucester counties, for new home dollar volume. Invite this talented neighborhood specialist in to learn about the real estate services that Weichert, Realtors has to offer. Vitulano can be reached in Weichert’s Medford office at 107 Taunton Road, or call (856) 983–2888 for more information. Weichert leverages its customer website, www.weichert.com, one of the most visited real estate websites in the nation, to help families and individuals realize the dream of homeownership through quick and easy access to listing information and the services of its real estate professionals nationwide. For more information, Weichert’s customer service center can be reached at 1–800-USA-SOLD.